This Halloween was one for the books for my goddaughter! 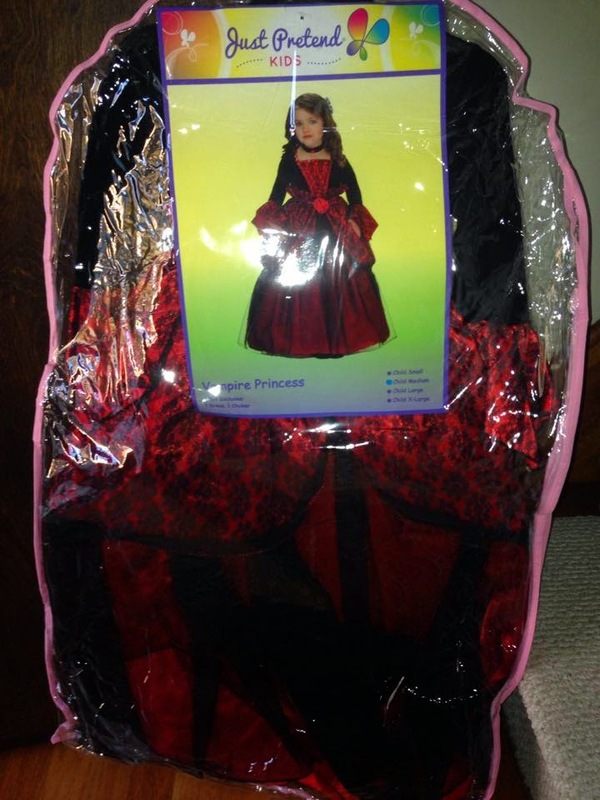 She was a HUGE hit with her Vampire Princess costume from Just Pretend Kids! If up to her she would, and I quote, "take them all and keep changing" since she loved them all! I could not believe all of the compliments that she received! It really is a beautiful dress! Someone even asked if it was a holiday dress turned costume! Come on! You know then it is absolutely stunning! Keep reading to learn a bit more about Just Pretend Kids! Just Pretend Kids is a company that provides dress up fun all year! Their princess assortment features pretty dresses, tutus, bodysuits, wings, wands and hair accessories for toddlers and children. Costume assortment includes a variety of adorable "Just Pretend™" animal and other favorite characters in infant (0-6 month buntings and 6-12 month onesies) and toddler sizing (1T-4T). 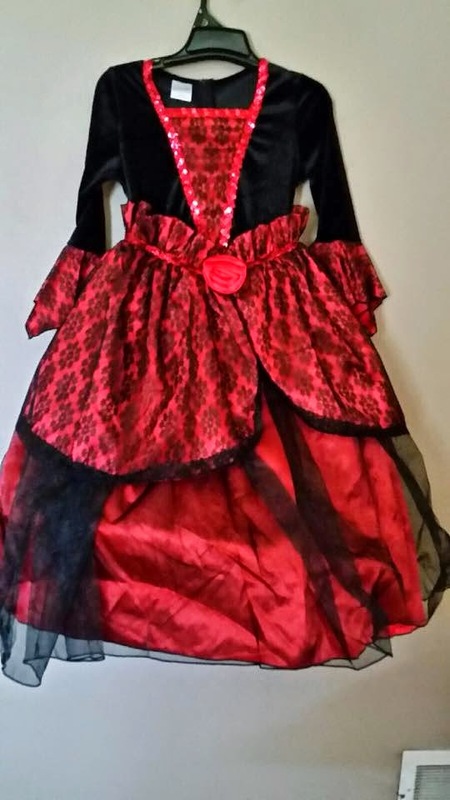 Sizes run up to a large (size 8) in enchanted costumes/dress up! Just Pretend doesn't stop at dress up and costumes, they even have PARTIES! Now you can stop worrying about finding the matching theme! We know how that goes! Can't find something or no clothes to match, it is a pain, but Just Pretend Kids ends that problem! All Just Pretend Kids Party Boxes comes with everything you need to host the perfect themed party - from invitations to tableware and decorations. 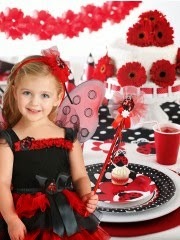 It also comes with a costume perfected matched to the theme of your party! You can even choose from special decorations, party favors and fun activities, all available in their a la carte sections. 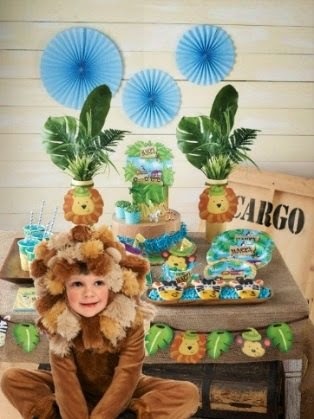 There are so many themes for every little girl and even some jungle and circus themes for boys! I can't wait to see what else they have in store! 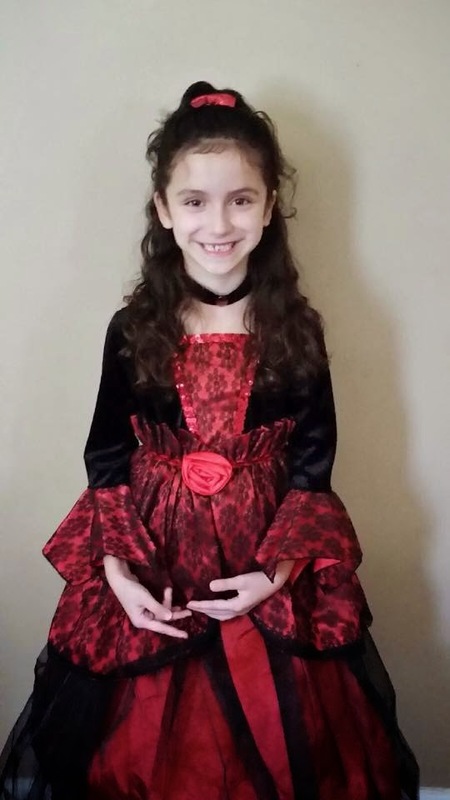 Thank you for an unforgettable Halloween for my very own Vampire Princess! Visit Just Pretend Kids' Website HERE! "Like" Just Pretend Kids on FACEBOOK! "Follow" Just Pretend Kids on TWITTER!